CAL FIRE law enforcement officers arrested a Placer County man Friday who allegedly interfered with firefighting operations recently on the Trailhead Fire by flying a drone over the fire, forcing CAL FIRE to ground aircraft rather than risk a collision. Information posted on social media helped lead law enforcement officers to Eric Wamser, 57, of Foresthill. 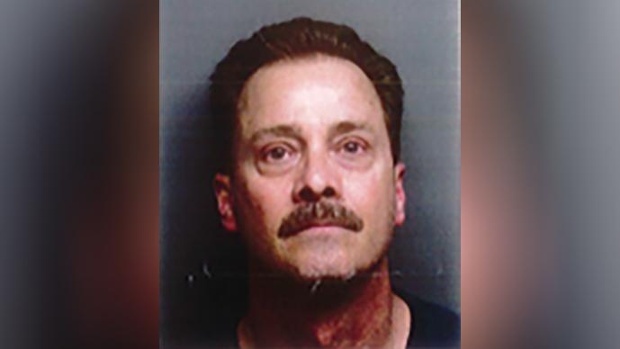 He was arrested Friday afternoon, booked into the Placer County jail in Auburn and charged with interfering with firefighting operations, Penal Code Section 148.2. This is the first arrest by CAL FIRE law enforcement of a drone operator for allegedly interfering with firefighting. Over the past two years, fire officials have seen increasing numbers of hobby drones flying over wildfires and interfering with aerial firefighting operations. Airtankers and firefighting helicopters fly at low elevation to drop fire retardant and water, and when hobby drones fly in the same air space, fire officials are forced to pull back aircraft to prevent a collision. Wamser’s alleged actions delayed aerial firefighting on a fire burning in the steep canyon along the Middle Fork of the American River near Todd Valley. The Trailhead Fire started June 28 and is now 98 percent contained. It burned more than 5,600 acres and forced hundreds of residents of Placer and El Dorado counties to evacuate. Wamser allegedly flew his hobby drone over the fire during the evening of June 28 to take video and photos. “The Trailhead Fire was burning in such a remote area that our aircraft were critical to stopping the fire,” said Chief George Morris III, CAL FIRE’s Nevada-Yuba-Placer unit chief. “Every minute we couldn’t fly our aircraft because of this drone, the fire was able to grow and do more damage.” CAL FIRE asks the public to never fly drones near wildfires. Remember: If You Fly, We Can't! 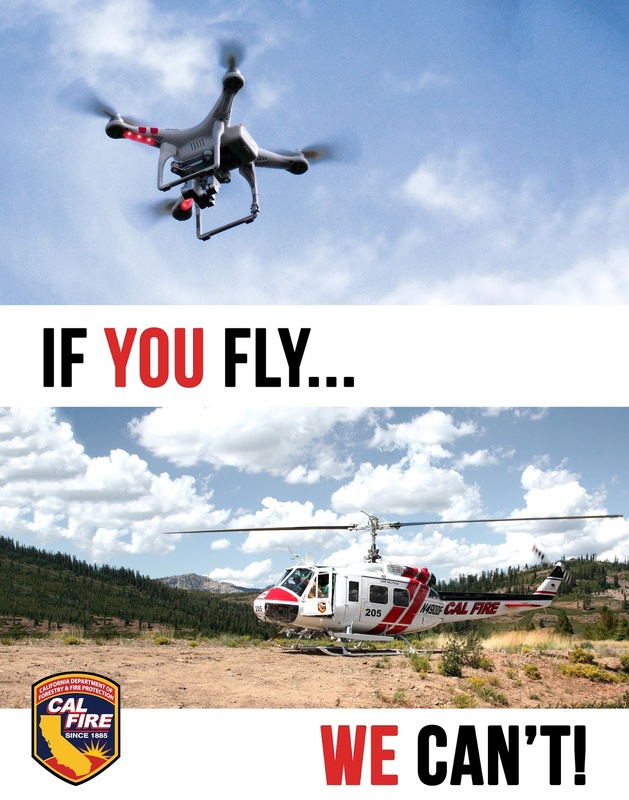 For more information visit www.fire.ca.gov and download the free app by the FAA “B4UFLY” https://www.faa.gov/uas/where_to_fly/b4ufly/. Eric Wamser, 57, of Foresthill was arrested Friday for allegedly flying his unmanned hobby aircraft over the Trailhead Fire. The incident reportedly forced firefighters to ground aircraft rather than risk a collision, according to a statement from Cal Fire spokesperson Daniel Berlant. "Our firefighting aircraft have to make their approach and they're flying very low to the ground, in many cases they're just above the tree line,” - Cal Fire spokesman Daniel Berlant said. Just above the tree line outside his Foresthill home was where 57-year-old Eric Wamser said he decided to fly his hobby drone the night the fire erupted. A decision he said he deeply regrets. “We immediately pulled back the aircraft for probably a good 30 minutes until that drone was out of the area,” Berlant said. KCRA 3 stopped by Wamser’s home, but he didn't want to appear on camera. He did want to go on the record to say that he’s embarrassed about the mistake he made that night. Wamser claims he wanted to see how close the flames were, so he sent the drone up directly over his home for about two minutes. “Don’t use a hobby drone just to get a better vantage point. If you feel unsafe you should leave the area,” Berlant said. ”The message is simple: 'If you fly, we can't.'" Drones have become a growing hazard and operators are usually hard to catch, Cal Fire said. In fact, Wamser is the first person to be arrested in California. “In this case, the video was posted on social media and that aided our efforts,” Berlant said. Posting the video to his Facebook page is also something Wamser said he wishes he could take back. The video has since been taken down and will be used as evidence by the Placer County District Attorney's Office. Wamser faces one misdemeanor charge of interfering with firefighting efforts and he said he's learned his lesson. Cal Fire is still investigating two other drone incidents that impeded efforts on the Trailhead Fire on the El Dorado County side. They have not yet tracked down those operators.